Using Social Media to Teach Adult Learners | So, You Think You Can Teach ESL? The use of media: newspapers, computers, the Internet, television, movies, music, and magazine articles, can be a powerful way to enhance learning. It can help build vocabulary, increase reading speed and fluency, and develop conversational skills. Using media also is a great way to tie-in real-world events and news into the classroom. This helps make learning a second language relevant to the learners’ lives. Social media and the Internet are excellent tools to help adult learners stay connected in this fast-paced, ever-changing world. Sites such as Facebook, Pinterest, Twitter, and others are wonderful platforms to help build visual literacy skills! They also allow adults to see new ideas and discuss them. When should you introduce media? Before learning the concept. Showing media before the discussion gives students an image to which they can compare the topics under discussion. This approach allows quick reference to easily recalled examples. Schwartz and Bransford (1998) show that demonstrations focused on contrasting cases help students achieve expert-like differentiation. In addition, Schwartz and Martin (2004) found that carefully-prepared demonstrations “help students generate the types of knowledge that are likely to help them learn” from subsequent lectures. After a brief introduction but before learning the concept. This method provides students with a brief capsule of what the media is about and what to look for – helping to focus attention while watching the media. After learning the concept. Showing media after describing a theory or concept allows the instructor to use the scenes as a case study. This approach helps students develop their analytical skills in applying what they are learning. Before and after. Repeating the media is especially helpful when trying to develop student understanding of complex topics. Utilize the media before the discussion to give students an anchor. Guide students through a description or discussion of the topics. Rerun the media as a case study and ask students to analyze what they see using the theories and concepts just discussed. Also punctuate the rerun with an active discussion by asking students to call out the concepts they see in the scenes. This method helps to reinforce what they have just learned. These tips are couldn’t have been written any better. 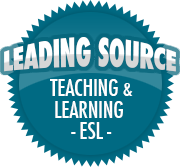 While many adult ESL learners may already be adept to using computers, they may not be used to using sites entirely in English. As the instructor helps the students familiarize themselves with the vocabulary often used with online sites, adult ESL students can access information much faster and develop a greater comprehension of English as a whole. Using media also makes learning fun and enjoyable, allowing for more participation. Facebook isn’t just for kids anymore! How do I use social media in the classroom? Start small. Find one movie, song, or news source and incorporate it into your class. Expand once you are comfortable. Provide a clear link between what you want your students to learn and the media. Care must be taken provide the proper learning context. It takes time to integrate media effectively into a course. This is not edutainment, it is the conscious use of media to enable students to learn more. Use the subtitles feature for visual media. This is especially useful in focusing student attention on the words being said. Be prepared. Technology does not work 100% of the time so have a back up plan. If the media equipment does not work, go to plan B and continue on with your class without missing a beat. Evaluate student understanding. Students respond to incentives. If you require them to write a reaction paper, take a quiz, or place questions on your exams that relate to the media content they will pay more attention and learn more in the process. Stay legal. View the copyright information on the cautions page. To close, while media access isn’t always available, it is beneficial if you can use it. Adults, both young and old, can always learn something new! This is some good information. Thanks Gilbert! While I don’t teach adults anymore, I may yet in the future, and I want to try these activities if it is possible at that time. For now, as an elementary teacher I want to try and use technology in my own classroom, but sadly I am limited at my current school. My last 5 years of teaching in elementary school were consistently featuring media, Youtube, cartoons, online photos of what I was teaching about, etc. My teaching became more fun and more interesting to my students. Visual learning sometimes completely explains what they couldn’t understand by reading text.